I don't even know where to begin! 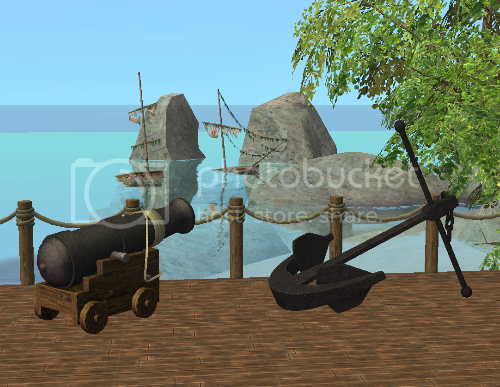 I love Barnacle Bay and bought it just so I could convert the objects for TS2, and then I got caught up with Pirates & Nobles. The P&N set alone includes something like 30 objects, so as always, everything is labeled clearly so you can delete what you don't want. 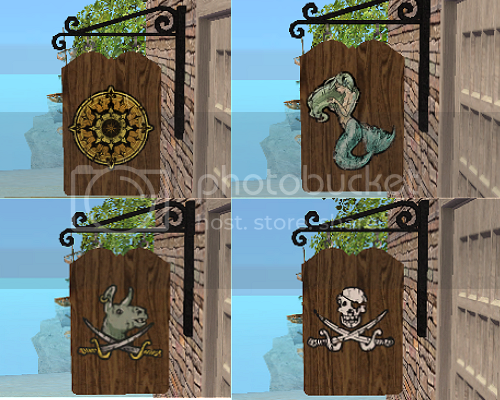 The Barnacle Bay set includes 4 sculptures, 1 shop sign, the menu extracted from the pirate ship-bistro Rabbithole, a bench, the fence in the first picture, and a decorative mailbox cover. I also added my favourite sea deity; Thoggus from Ambitions. The mailboxes in TS3 are a completely different size from TS2 and I don't even know where to begin cloning mailboxes, so I made a decorative mailbox-cover instead. In order for the mailbox to look right you need an invisible mailbox recolour. I use this one. #2. Use the recolour to make the original post invisible. 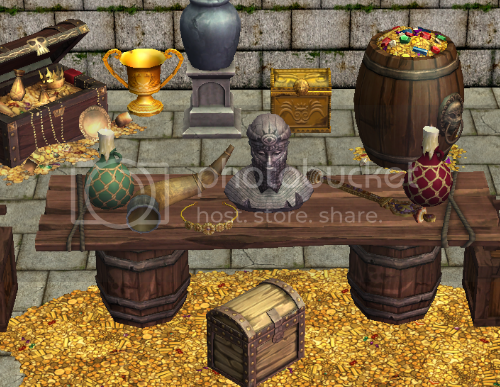 TSM objects are usually pretty high poly, so I tried to use the lower definition meshes whenever possible. 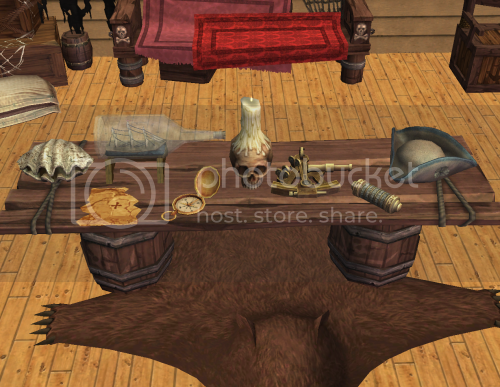 The candle jug and skull thing are table lights The coin rug and bear hide need Free Time to work. Pirates and Nobles are blocked it says "File Blocked for Violation. The file you requested has been blocked for a violation of our Terms of Service. " That is strange. I can download it myself with no problem. I'll replace it just to make sure, thanks for letting me know. 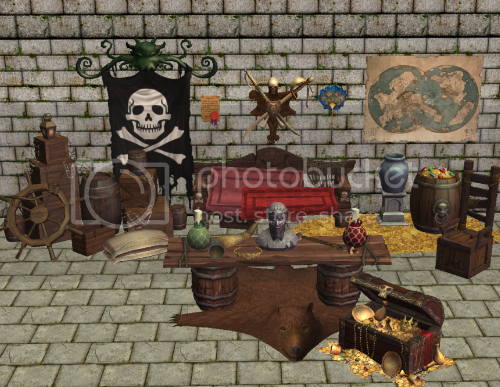 This is just what I needed for my pirate themed lot in Twikkii. Love everyting! Thank you! 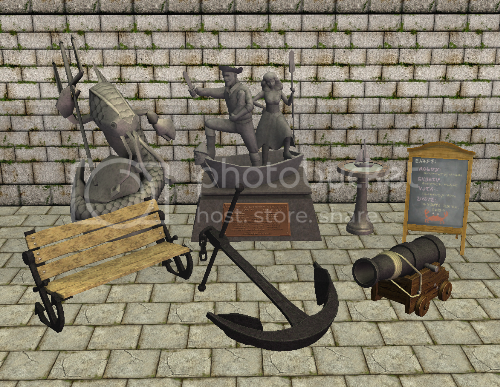 Haha, I'm pirate-fying Twikkii too. Have fun! I'm in complete awe. Everything looks so gorgeous! Thank you! A Sextant! I never dared hope to see one of these from my game. THANK YOU!!! What an unusual thing to need! Glad I could deliver! Yeah, Pirate Booty! I haven't seen much of the P&N stuff converted yet, so this is extra special. Thank you! Thank you, I absolutely love P&N. I was kind of waiting if anyone else would start converting, but eventually I just had to do it myself! Hope you find some use for them! Maybe a pirate themed restaurant? Thank you so much for this stuff! I'm loving that Pirates & Nobles set! You're welcome! It will be exciting to see what use for them you come up with! Thank you, this all looks amazing! Since I just made an account and have downloaded this ages before, thought I'd leave a big THANK YOU for this amazing conversion. I love it, and it has so many uses in my medieval 'hood.